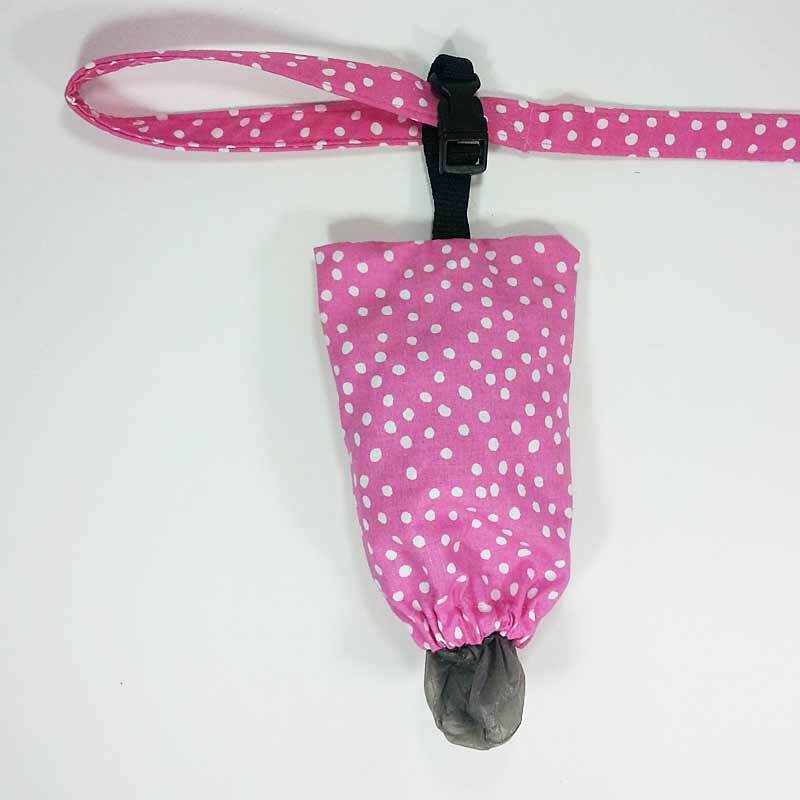 We offer our Boutique Harness in 6 Sizes for dogs weighing up to approximately 19 lbs. ranging in price from $36.00 to $41.00. 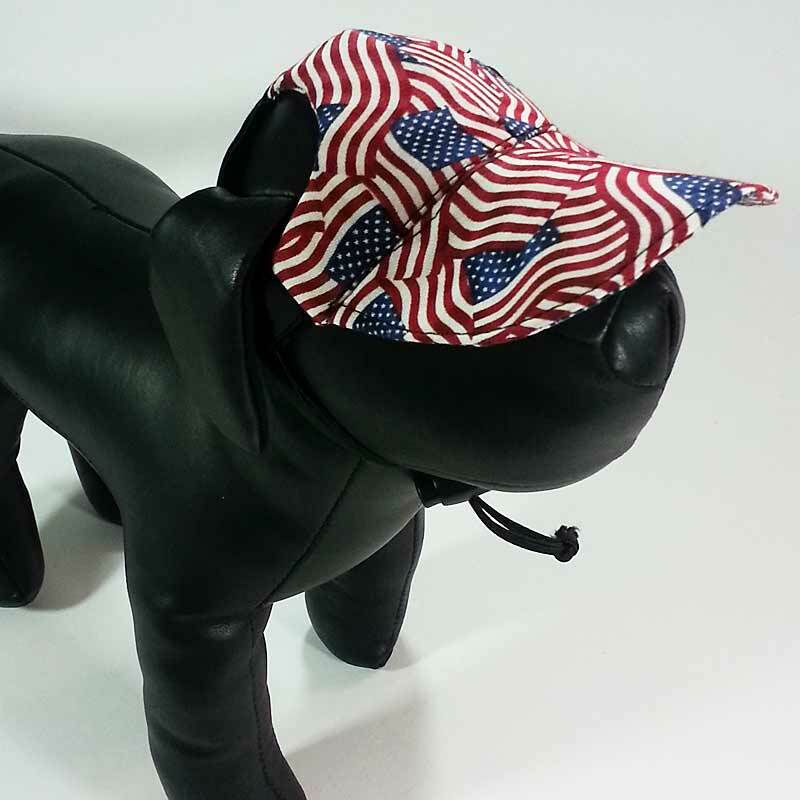 We have added something special to our "high fashion" Ruffle Harnesses - appliqués to add a little extra style for those dogs that want to make a bold fashion statement. Those of us who enjoy our small dogs often refer to them as our "little angels". To honor their angelic standing with their human pack we have developed our Angel Dog Boutique Harness by adding a pair of embroidered angel wings with a red fabric rose in the center to our UDogU Red Dot Puppies Ruffle Harness. 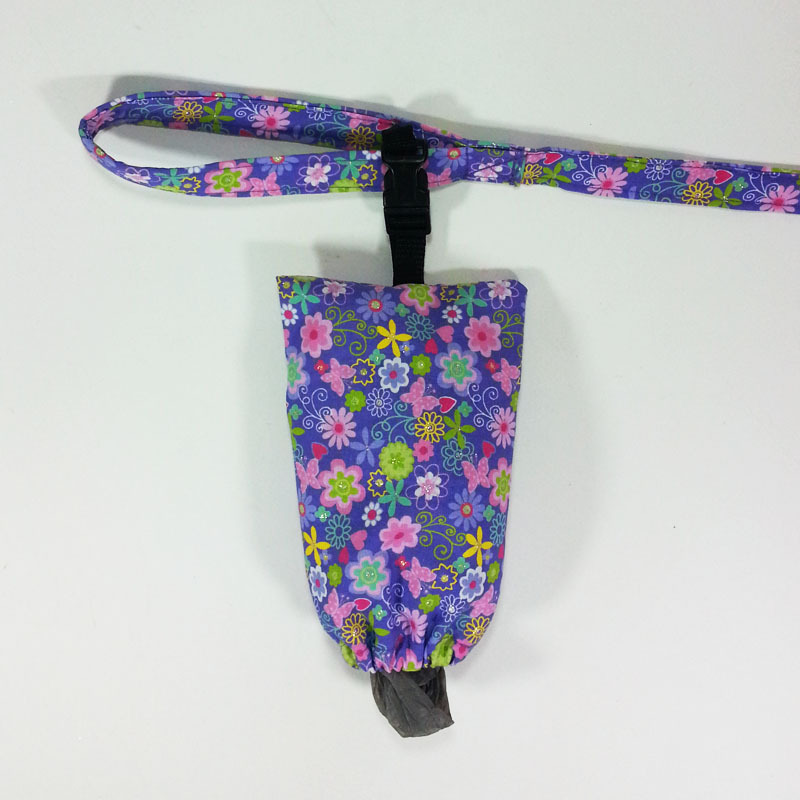 All of our UDogU Harnesses are designed for your dog's comfort and safety. They are also easy for you to use. Over the head, click to close. That's it! 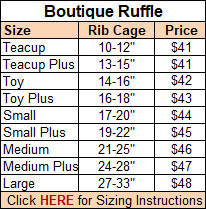 Please measure around your dog's rib cage to order the correct size. If you have not ordered from UDogU before, please visit our Harness Sizing page to avoid having to return your harness for a different size. For more information about our Easy-On Harnesses, please visit Why Use a Harness? and How the UDogU Easy-On Harness Works. Please select the correct size in the drop-down choices based on your dog's rib cage measurement and click the Add to Cart button. The correct price will be reflected properly in your Cart.